Painter was called hermit. May be cut off contact with the art world, for 30 years, did not go outside the grounds of the home. He painted the simplistic, such as a picture of the child. He said “recognized a bad picture”,became a famous phrase. 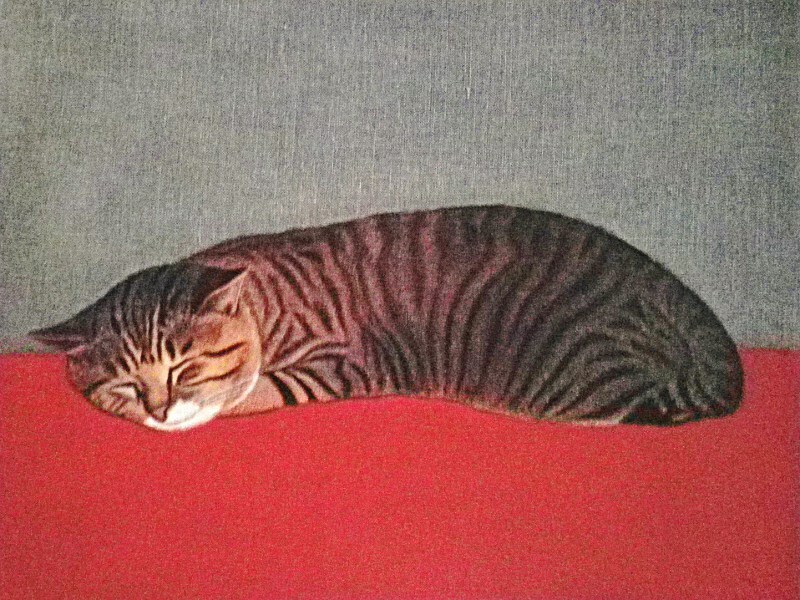 Female cat / 1959 / oil / 24×33cm … Maybe on a photo blind cat? At the atelier. Seems liked apart various things, knowing the structure. If Seurat is top of the drawing of the Western point, aspect, the top of the drawing of the Oriental linemay be Katsushika　Hokusai. Because I do not like ukiyoe,he may be accompanied, and I do not know it. An overseas person feels detailed.However, I understood the horror and felt like such since I watched this drawing why he was a painter on behalf of Japan. It is adjustment of the thickness of the line, a thing of the strength and weakness of the lines to express in a line.The line of the part of clothes is bold; and with the force do not feel like? I like drawing than oil painting of the Seurat.I think that I am too good. I like drawing of the Seurat than a drawing of Leonardo da Vinci. When he lived a little more, what kind of picture did you draw?